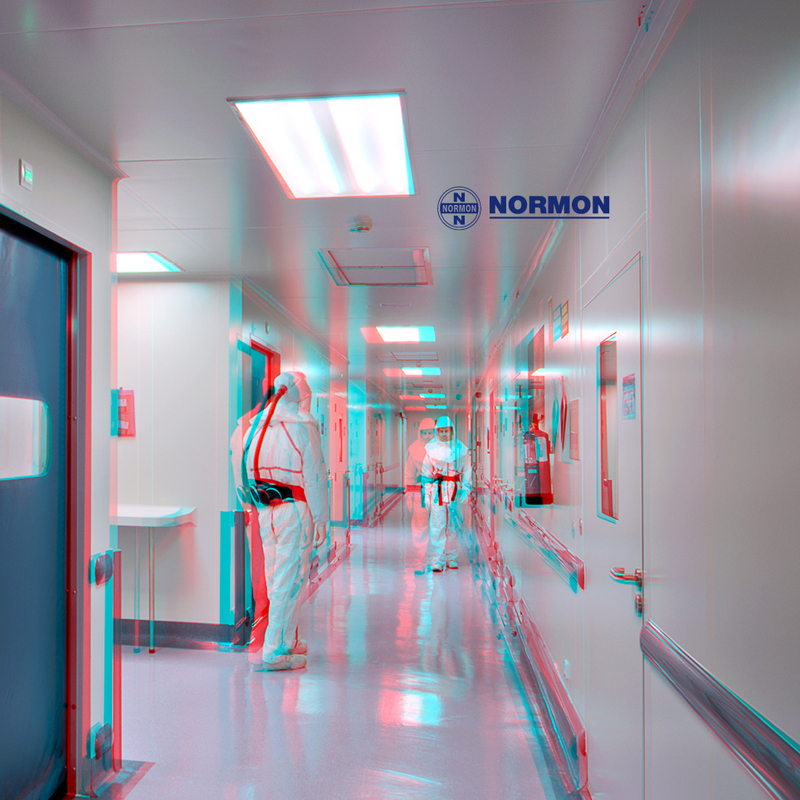 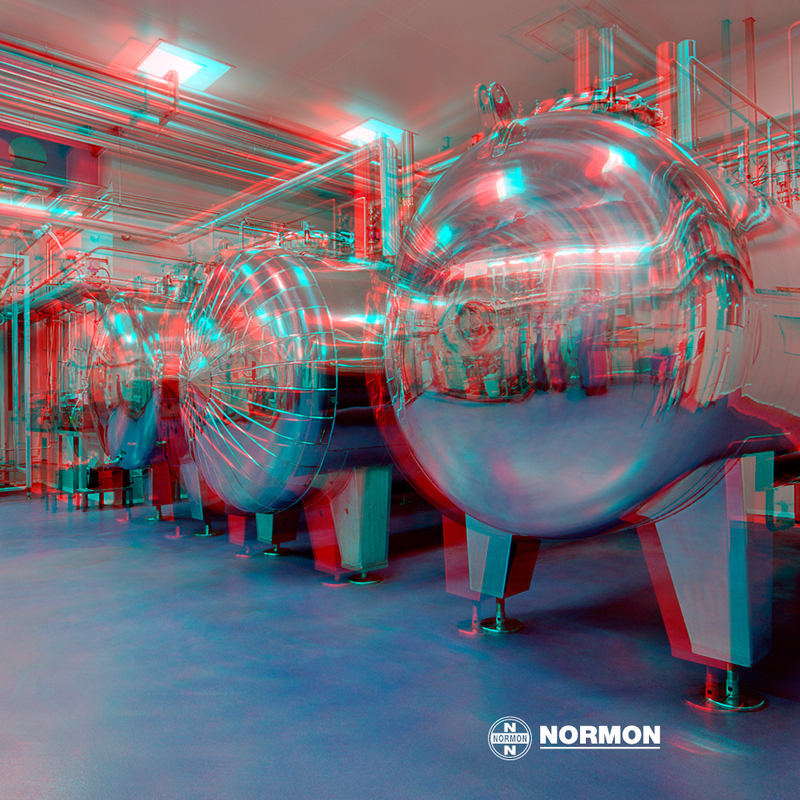 Publication for stereoscopic NORMON Laboratories. 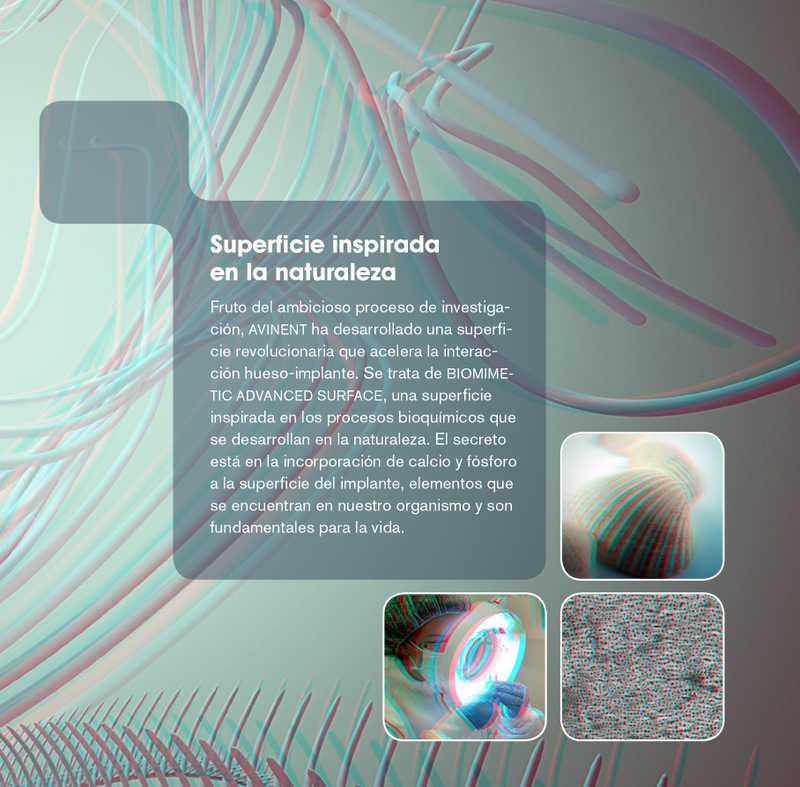 Edición by Penguin Random House Mondadori. 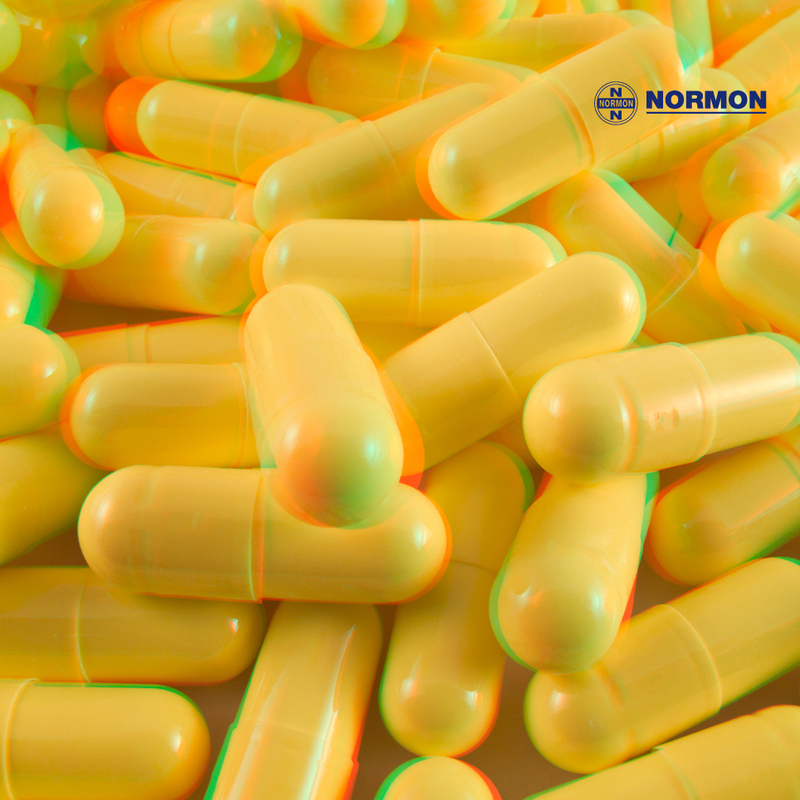 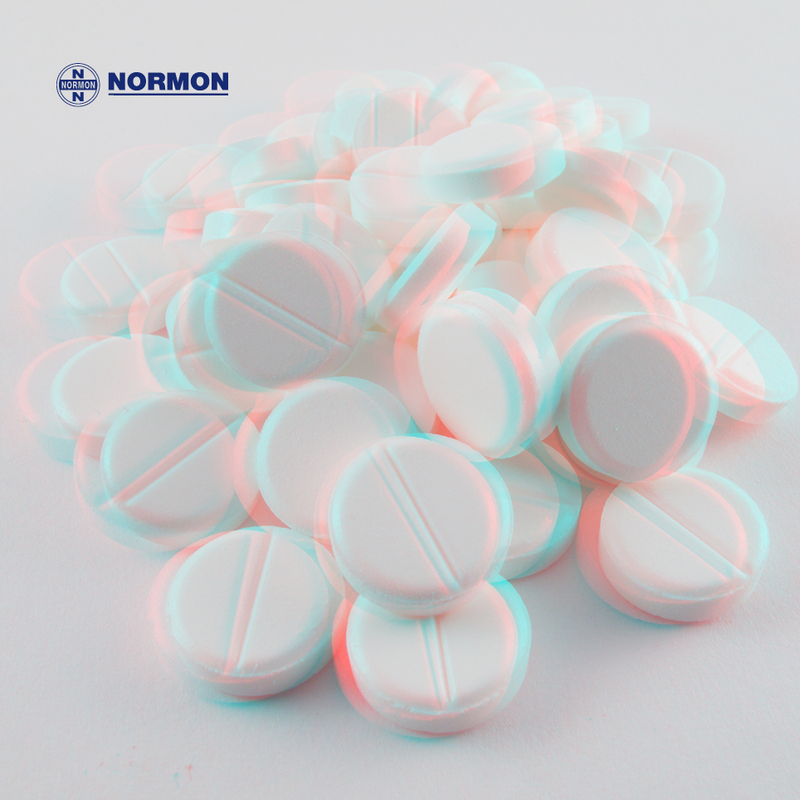 Founded in 1937, Laboratories Normon has become one of the leading pharmaceutical companies in Spain, basing its expansion continued investment in innovation and development. 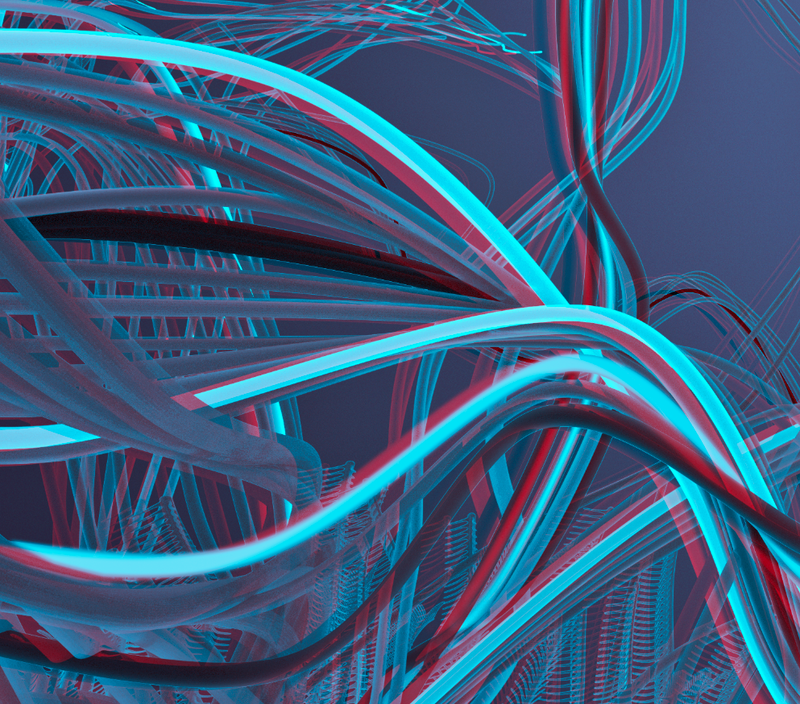 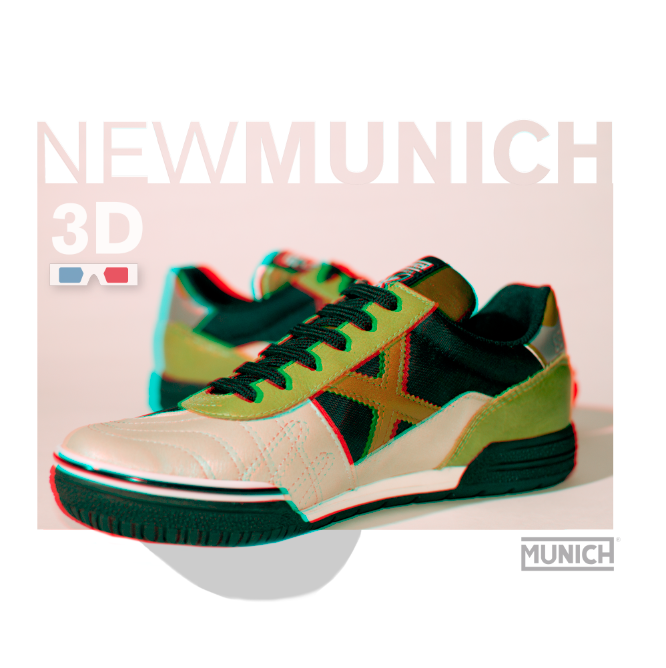 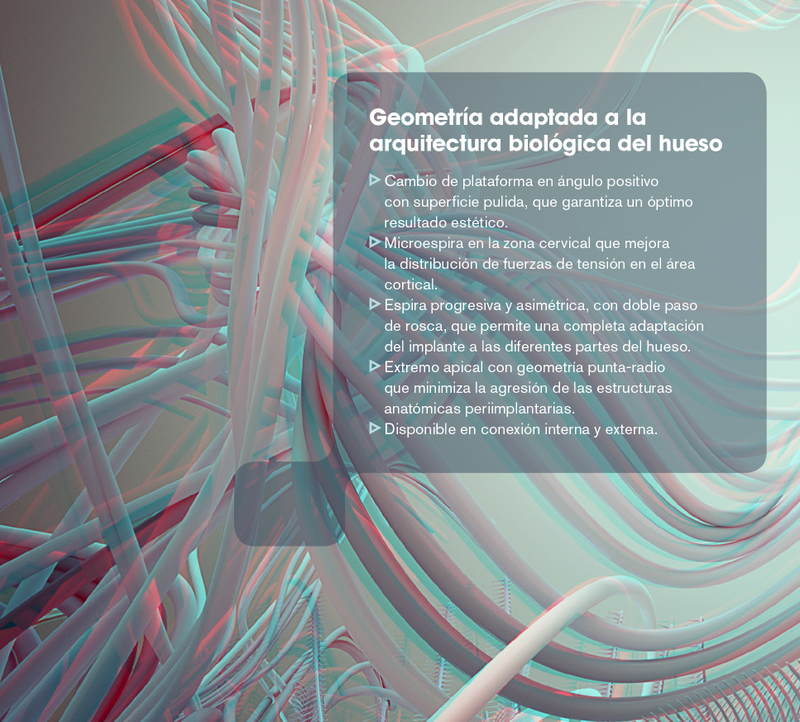 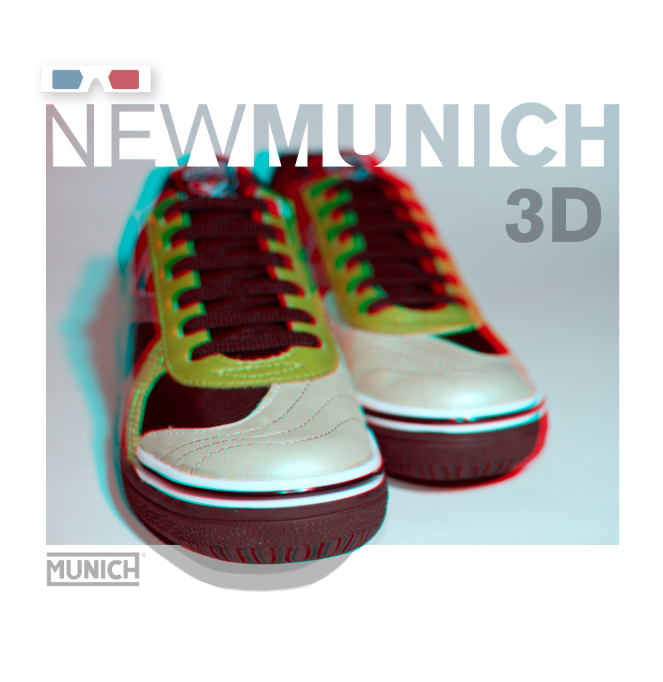 To celebrate the 75th anniversary, publish this special edition in 3D about new factory in Tres Cantos, Madrid. 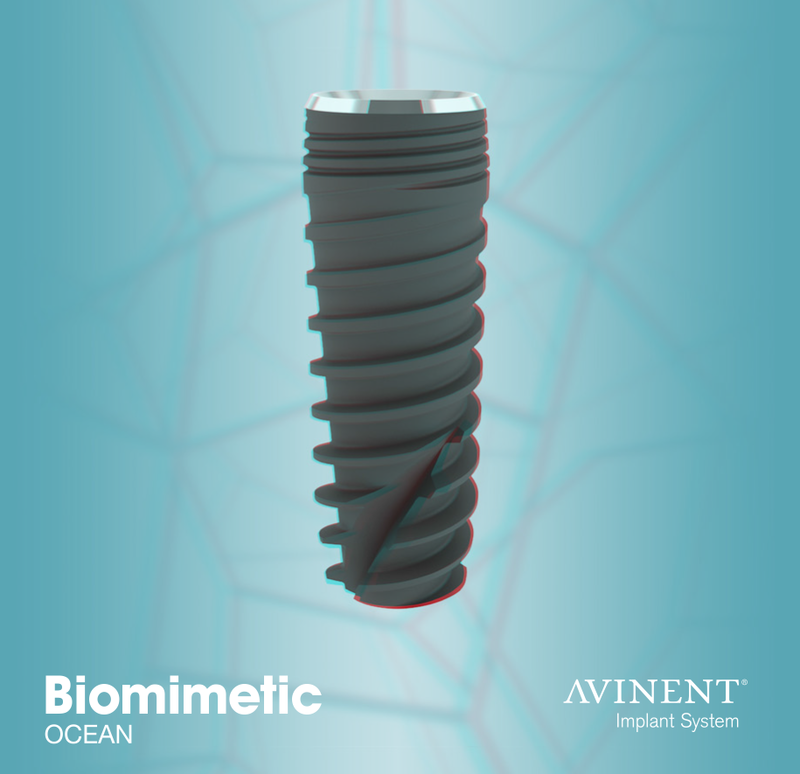 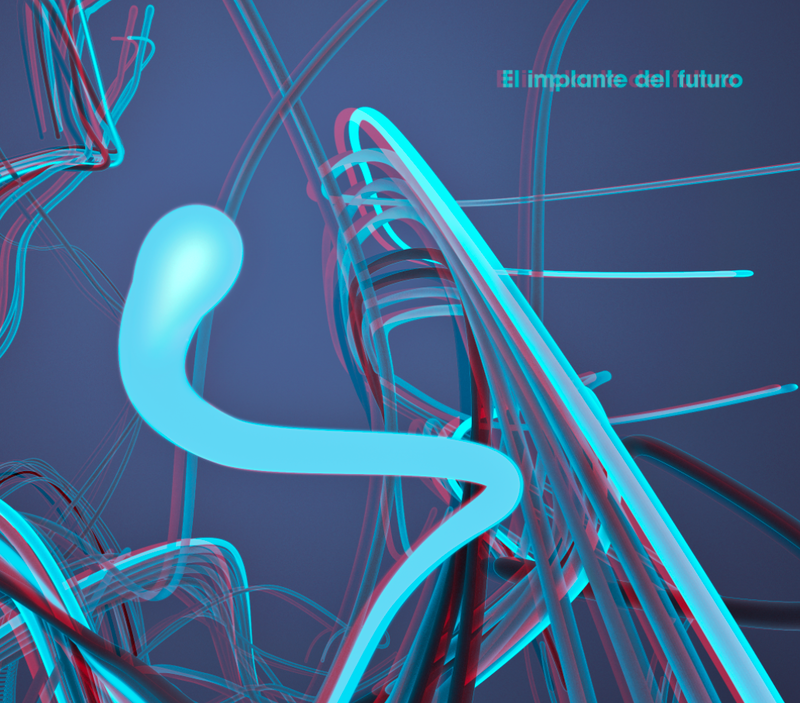 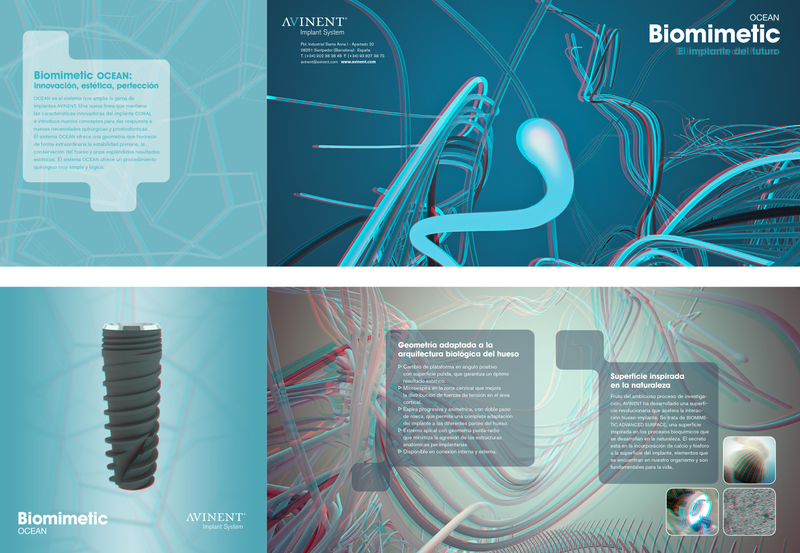 Leaflet advertising a new line of dental implants”Biomimetic Ocean” by Avinent.